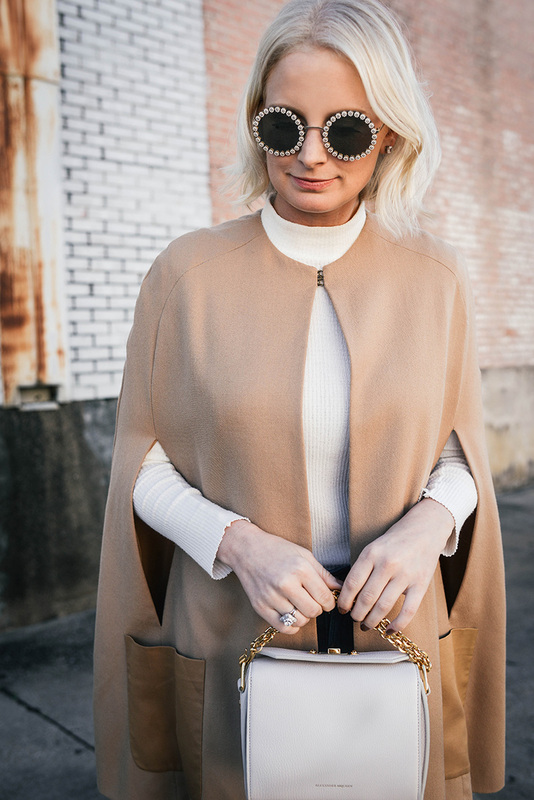 Before I jump into my roundup of the best fall boots under $250, I wanted to address this cape! It’s an old favorite of mine by Jenni Kayne – I actually purchased this back in the fall of 2014. Such a classic camel piece I love to take back out from time to time! I’m a big fan of investing in quality wardrobe staples that will stand the test of time, and this cape is one excellent example of those very cherished pieces in my closet. I did my best to find similar camel capes, but unfortunately didn’t have much luck. To see the ones I found, click here! If you don’t care whether it’s camel, check out this style and this style. Both a nearly identical silhouette but with some differing details and colors. Now onto the topic for today’s post! Boots are one of my favorite clothing items to invest in, as I tend to wear them nearly every day during the fall/winter seasons. A good investment for me is a classic silhouette that is both comfortable and versatile, usually in a neutral color. My all-time favorite boots are ones I end up keeping for years and wear repeatedly. For example, this pair of Stuart Weitzman boots, or this pair of Sergio Rossi boots. Both I’ve had for 3+ years now, and still reach for them regularly every season. Both pairs were pretty pricey, but I have absolutely gotten my money’s worth from each and they’ve held up incredibly well. With all of that said, I totally understand not everyone wants to spend $500+ on a pair of shoes! If you’re in the market for a pair of chic fall boots but trying to stick within a budget, below is a roundup of the most stylish looks I’ve found! The best part? They’re all under $250, with several pairs even being under $100. I love a pointy-toe shoe of any kind, flats, pumps, and boots alike! So when I saw this pair I knew I had to snag ’em. The color fits right into my wardrobe of neutrals, and is a great day-to-night style I know I’ll wear to death. These booties come in a bunch of different colors and fabrics too! These slouchy boots should be on everyone’s wish list! Gorgeous. Did you know Meghan Markle’s ankle boots from last week come in leopard calf-hair and are fully in stock?!?! I’m obsessed. Also love this pair and this pair in the same silhouette. These boots look just like my fave Gianvito Rossi pair, but for a fraction of the price! These velvet ankle boots look very expensive to me, and are the perfect color for fall! Looking for over-the-knee boots? Don’t miss this pair under $150. These pointy-toe ankle boots are under $80 and in the prettiest forest green. Here’s a nice pair of day-to-night knee high boots for any occasion. 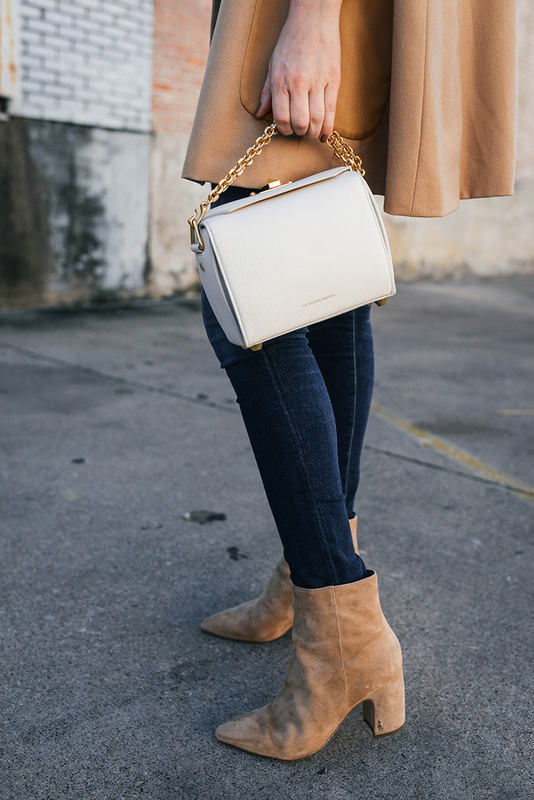 These faux leather ankle boots are a great neutral for winter! Easy to pair with any color in your closet. These knee-high heeled boots come in two pretty neutrals, are under $200 and would transition effortlessly from day to night. The subtle fringe detail on these boots makes them look very expensive – love! These black suede boots are another fab basic you’ll wear a bunch! These black leather knee-high boots are a classic! I ordered a similar pair to these during the Shopbop sale that ended up not working out size wise, so maybe I’ll try these instead! The contrast stitching on these boots is so chic, don’t you think? Love the sharp look of these heeled booties. Boots are my favorite pieces to invest in too. And I love the updates on Meghan Markle’s pieces, your new site on her looks beautiful! Love your boots and cape! So cute! And the slouchy boots you suggested are really cute too! Such a cute and classic look! I am a boot addict! I seriously always think I need more. Great list.